Fly in (from Arusha, Dar es Salaam or other nothern Tanzania locations) using one of the daily scheduled flights. (Airstrip is Kogatende.) Drive in from other northern Serengeti camps. If you were to visit only one place in the Serengeti, it should be here. This is no idle boast—the iconic Kogakuria Kopje in northern Serengeti. 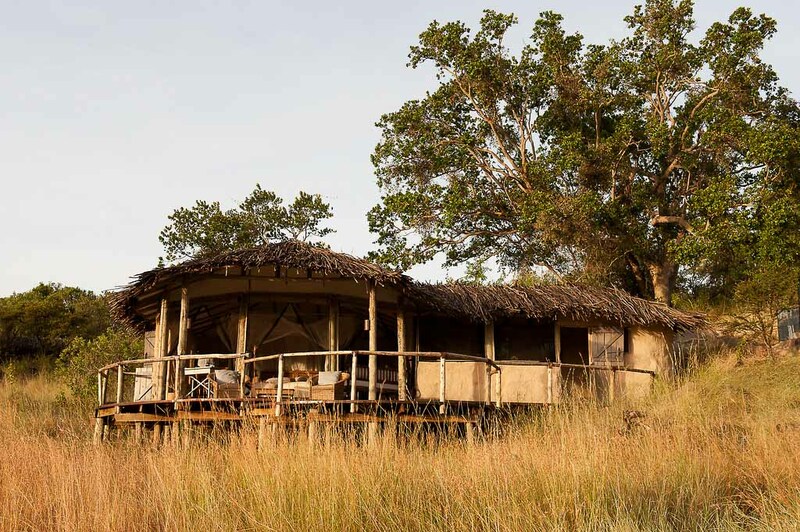 A few years ago, the Tanzanian government chose a handful of responsible companies to build small permanent lodges in this remote sector of the Serengeti. Nomad Tanzania was offered the prime site and Lamai Serengeti now sits tucked amongst the rocks of Kogakuria Kopje with panoramic views of the surrounding landscape. Beautifully designed open-fronted rooms, a spacious lounge and clear pool provide an ideal place to escape to for some relaxation in between your wildlife adventures—for families, groups and couples.The area boasts year-round fantastic game viewing, including the Big 5, and between July and November, the wildebeest migration moves through, crossing the Mara River in dramatic fashion just 20 minutes from the lodge. Each lodge has its own private bar and dining area with adjoining library/map room, and each has its own natural rock swimming pool. All rooms have 24-hour power and en-suite bathrooms with hot and cold running water, flush toilets and powerful showers. The main lodge has eight rooms; the private lodge has four rooms. Each of the rooms was designed to fit into the complex geometry of the Kopje and to make the most of this sensational location—its views and its natural space and light.